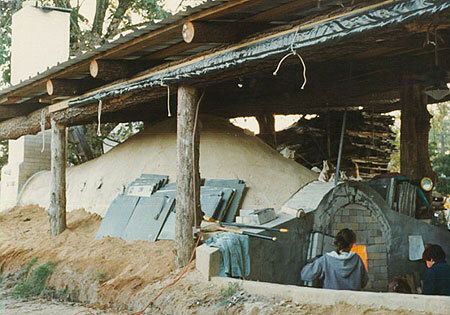 Even though potters here in North Carolina have used wood to fire their (glazed) functional ware for centuries, the Anagama is not the traditional kiln of American potters. This kiln has its origin in Japan, Korea, and China. The word Anagama is Japanese and means hole-kiln. 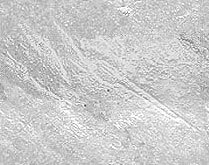 It describes a narrow, underground tunnel dug out following the contour of a hillside. Farmers and peasants in Asia are known to have wood-fired rough, unglazed ware made for household use in these tunnel kilns as early as 2000 BC. 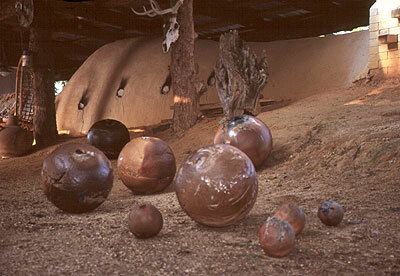 Peter Callas is credited with bringing the first Anagama and the technique of prolonged wood firing for aesthetic affects to America in 1976. While visiting Japan in 1974 he had helped to build an anagama in Shigaraki. He was intrigued by the kilnís design and fascinated by a firing technique that could produce shizen-yu or "natural glaze," a process by which wood ash flying through the kiln settles on ware, melts and fuses into glass on the pottery. The successful outcome of such natural glazing process depends on many variables such as: the kiln's design, size and fluctuation in internal temperature during the process of firing, the duration of the firing, the rate of the heating and cooling cycle, the velocity of the draft that transports flying ashes through the kiln, the depth of the deposit of ashes, the choice of clay and wood used for firing, and even the time of the season. However, placing pottery in the kiln so that the pieces will guide the dancing flames on their way to the chimney in a manner that maximizes heat distribution and ash deposit in desired areas is a major part of the art of firing. Peter Callas became totally committed to studying all of these variables. He visited the pottery centers of Seto, Tokoname, Shigaraki, Tamba, Bizen, and Echizen, historic sites that are often referred to as the "Six Ancient Kilns" and learned about ancient firing methods and kiln designs based on prehistoric models. Only a few of those are still active today. Their descendants are usually dug as open pits that climb their way up from a fire-box at the lower end to a chimney at the upper end. These structures are then roofed with clay or a brick arch mounted over a bamboo/wood framework. Several years after Peter Callas returned to the United States to build his own modified Anagama in Piermont, New York, he began his collaborative work with Peter Voulkos, a master potter from California. Applying an alternative approach to material, sculpting process and firing technique together with Voulkos Callas has greatly contributed to raising clay in the last forty years from it's "grubby status of cheap impermanence to its present status as an art material of first rank." I too have been fascinated by the rugged irregularities and unpredictable varieties of surface effect product by the ancient method of wood-firing in an Anagama. Not having a kiln of my own, I have been fortunate to fire with Dan Finch in Bailey, North Carolina. Dan calls his kiln lovingly Mamagama. It is a huge hump-backed structure of six hundred cubic feet. 7 day Anagama firing in North Carolina.